The WASNX washer pump is an important element for effective video surveillance because it guarantees sharp images in all environmental conditions and reduces the need for maintenance. The WASNX system is designed for operate in special environments such as marine, industrial, chemical and where the external conditions are highly corrosive. The wash system is also compatible with third-party products. 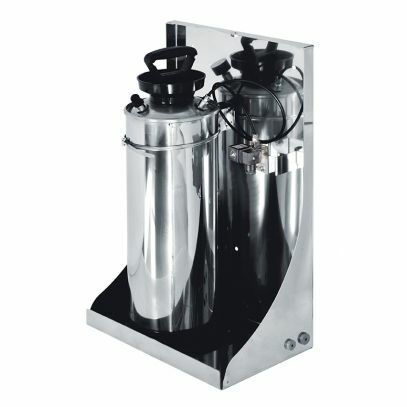 The kit includes a stainless steel 10-litre tank with solenoid valve.